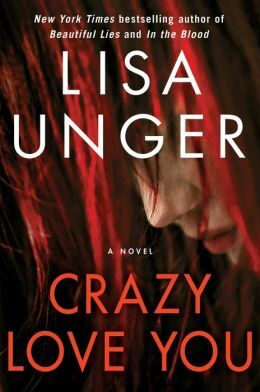 Crazy Love You, the new novel by Lisa Unger, is about obsessive love and all that is good and bad about relationships. The real feat here is that Lisa Unger has managed to write a book that is as addictive as the relationship at the story’s core. Prepare for a long night, because once you begin reading their tale, Ian and Priss will not release their hold on you until the final page is turned. Ian has had a rough life. A traumatic event in his youth will always haunt him and because of this he has never really fit in socially. Now that he is older, he has managed to find his place as a talented and successful graphic novelist, but Ian is still clinging to the hurts of the past. His success can be directly attributed to the help Priss has given him over the years. Priss was there for Ian when no one else was – she protected him, she cared for him, she loved him. Theirs was the very definition of a co-dependent relationship. The plot of Crazy Love You explores what happens to a co-dependent bond when a third party is brought into the mix. You see, Ian has finally met the girl of his dreams, Megan, and no one is less excited about this development than Priss. A novel of this sort rest squarely on the shoulders of the characters at the center of the story. They must be compelling, complex and relatable. As our narrator, Ian is all of those things and so much more. In Ian, Lisa Unger has created a character who has never really been in control of his own life. As readers begin to realize just how unstable and fragile he really is, they start to see what great risk he continually places himself in. It is only natural that he would cling to the one girl who has supported him, but now that he can stand on his own, is it fair to cut Priss loose? Priss, on the other hand, is a dark character from the get-go. It is easy for readers to understand Ian’s connection to her, even as they are also able to realize that she is dangerous. 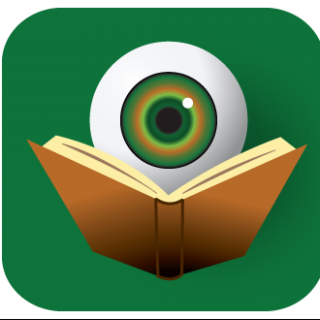 Even with this mysteriousness inside, Priss is a character readers will find themselves addicted to, just as Ian does. The last element to this story is the setting. Lisa Unger has been writing about The Hollows for a while now. A small town in upstate New York, The Hollows seems quaint and lovely on the surface, but visitors quickly begin to feel the menace below the surface. The people who populate The Hollows continually use the word seductive to describe the place and this is also the perfect word to describe Lisa Unger books set in The Hollows – a spell is cast and readers are caught in the web. By using graphic novels as a central focus in Crazy Love You, Lisa Unger manages to keep readers on their toes wondering where reality ends and the fictional begins. Ian attempts to make sense of his everyday youth by resolving those issues within the pages of his comics. Will he be able to do the same when he needs to convince Priss to leave him alone? Throughout her oeuvre, Lisa Unger has shown us that adolescence is never easy, even under the best circumstances. Now with Crazy Love You, she shows us how clinging to those youthful events from the past can ultimately have a major impact on the present. Kristopher, you’ve really made me want to read this book with your great review. The characters sound complex in a good way, and the setting sounds deliciously creepy. Thanks for the encouraging review that will make Crazy Love You a definite read for me. Thanks Kathy. It’s is easy to make Lisa’s books sound exciting – because they are. I have a feeling that you will really connect with this book.